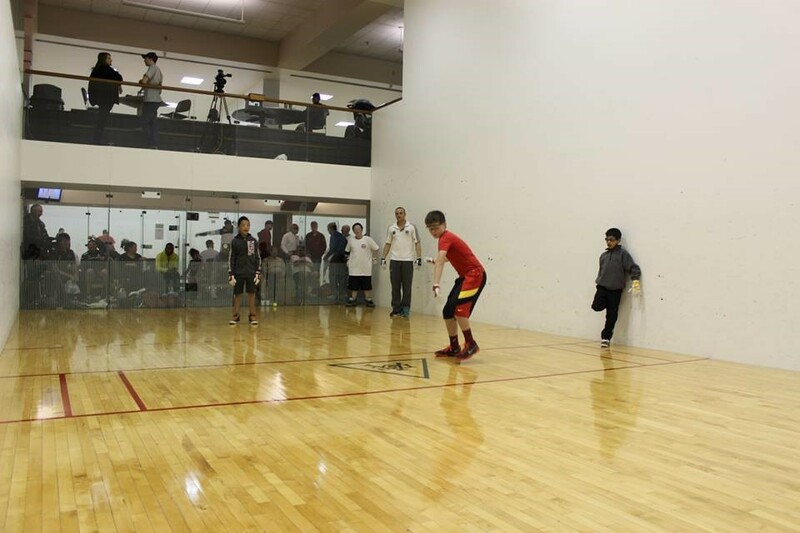 Junior WPH New York Athletic Club Clinic (March 2014): WPH Certified Coaches led a large group of passionate young handballers in a spirited clinic at the famed New York Athletic Club in conjunction with the WPH Race 4 Eight III stop at the NYAC. The junior handball players had the opportunity to learn handball skills from several of the game’s best female players and watch the world’s best from court-side after the clinic. WPH Player’s Cup elite players Samzon Hernandez, Ricky Ruiz, Timbo Gonzalez, Sal Duenas and Mando Ortiz, as well as Race 4 Eight pros David Fink, Aoife McCarthy and Catriona Casey served as coaches for an enthusiastic group of nearly 30 junior handball players during the Junior WPH clinic at the 2nd WPH-Outdoor Big Ball 3 Wall Nationwide Challenge, by JR WPH & EDTL Handball in La Mirada, CA. The juniors received instruction from the elite pros on the two-wall serve, the kill shot and the return of serve and were then able to play doubles points with and against the game’s best players. The juniors soaked in all of the lessons and were eager to try the shots in their upcoming tournament matches. “I learned the side-front kill and to take the ball before it bounces on the return of serve,” boasted one of the juniors. 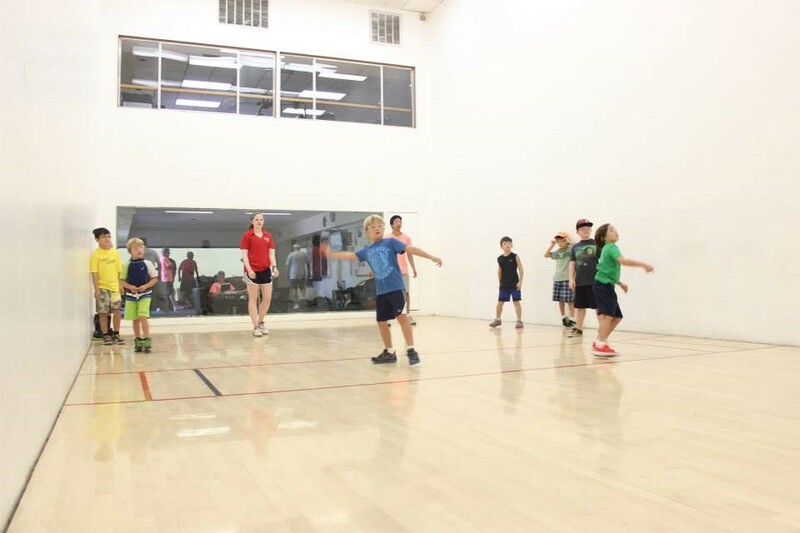 Junior WPH Tucson Racquet Club Summer Camp (Summer 2014): In the most ambitious junior handball initiative in the country, the WPH taught handball to over 600 youngsters between the ages of 7-16 every day for 10 weeks at the Tucson Racquet Club Summer Camp. 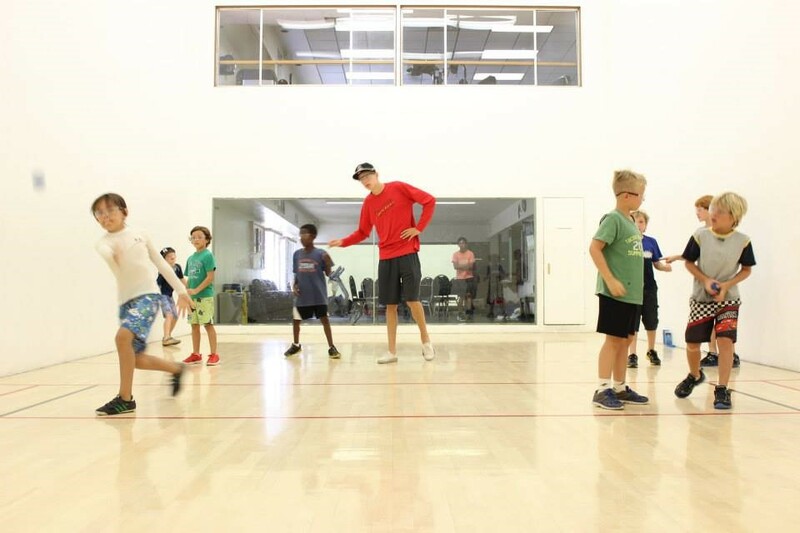 Junior WPH worked with up to 16 different kids every 45 minutes on two courts, as well as organizing skills competitions and tournaments at the end of each three-week camp session. 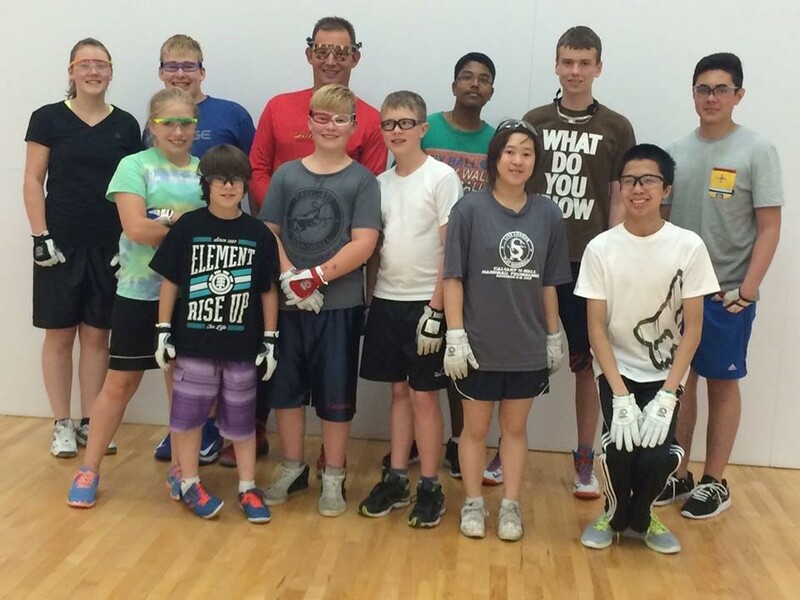 Hall of Famer and WPH Certified Coach John Bike inspired an enthusiastic group of junior handballers at the Junior WPH Calgary Summer Handball Camp in the Great White North. Coach Bike stressed the fundamentals, while incorporating cross-training activities and other sports to improve footwork and conditioning. 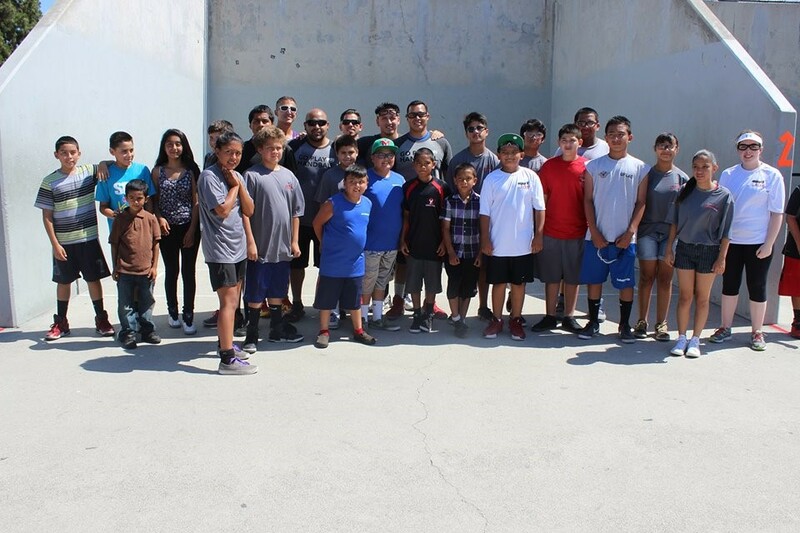 Junior WPH proudly hosted a junior handball clinic at the Jr. Vasquez California State 3-Wall Doubles Championship. 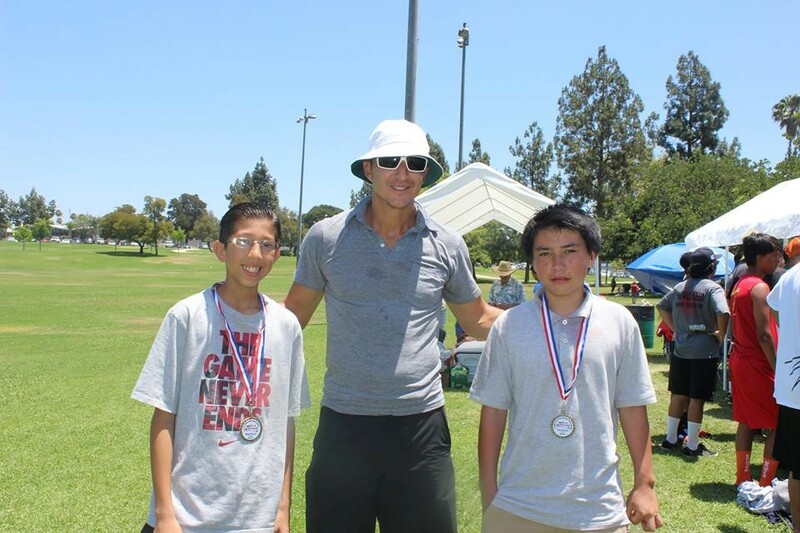 WPH Player’s Cup elite stars and WPH Coaches Sal Duenas and Samzon Hernandez instructed the junior clinic at the famed Jr. Vasquez event for the second consecutive year. 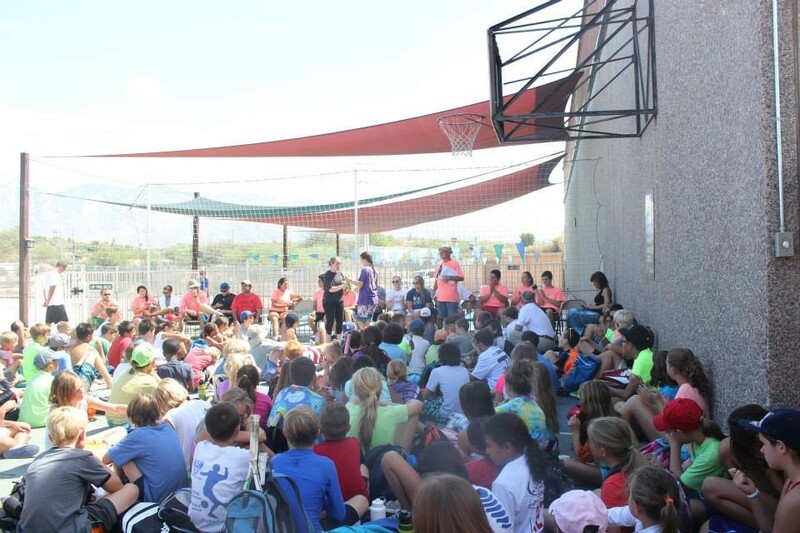 Junior WPH hosted its first ever Women’s Shootout Benefit event to raise money for Junior WPH and the growth of the game in Tucson, AZ. WPH Women’s Race 4 Eight stars Catriona Casey, Tracy Davis and Aoife McCarthy played one another in an exciting one game to 21 round robin format. Casey won the first ever Junior WPH Women’s Shootout with dominating victories over Aoife McCarthy and Tracy Davis. The ladies also hosted junior handball clinics before the “Shootout,” inspiring young men and young women to play handball. Junior WPH RFC V Junior Benefit Junior Tournament (August 2014): Junior WPH traveled to Pittsburgh, PA for a mid summer junior handball tournament in the Steel City. 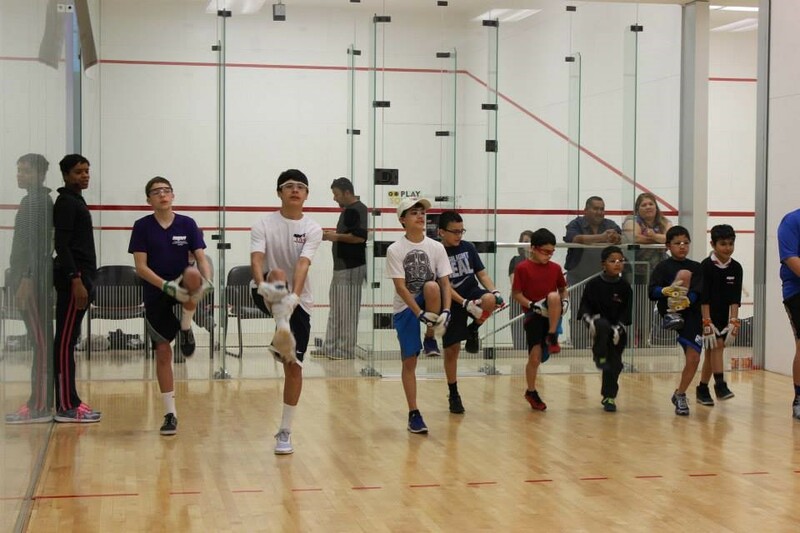 The WPH has sponsored several events in Pittsburgh, including six RFC tournaments and the 2013 Thanksgiving Junior WPH Clinic and Blind Draw Doubles. 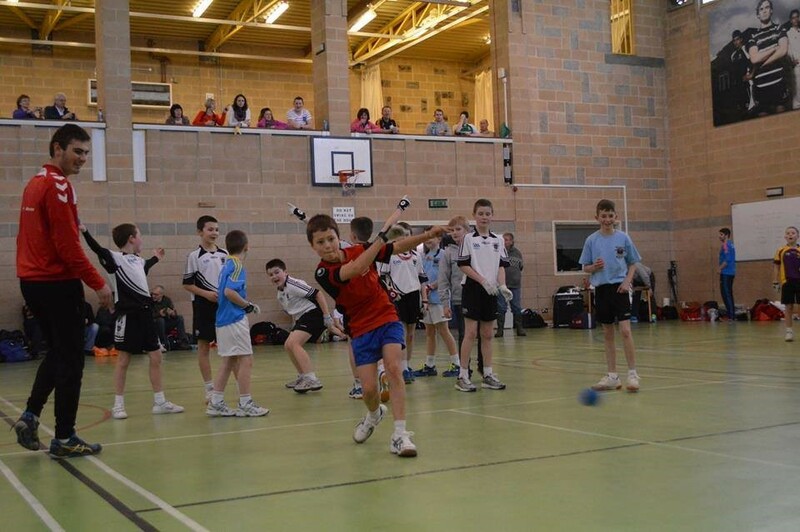 Each of the juniors played a minimum of five matches during the RFC V, competing in the Open Singles, “A” Singles, Junior Singles and Mixed Doubles. “I had a really great time and I really hope to come back for the next event,” declared RFC V Junior Champion Sam Sottosanti III. 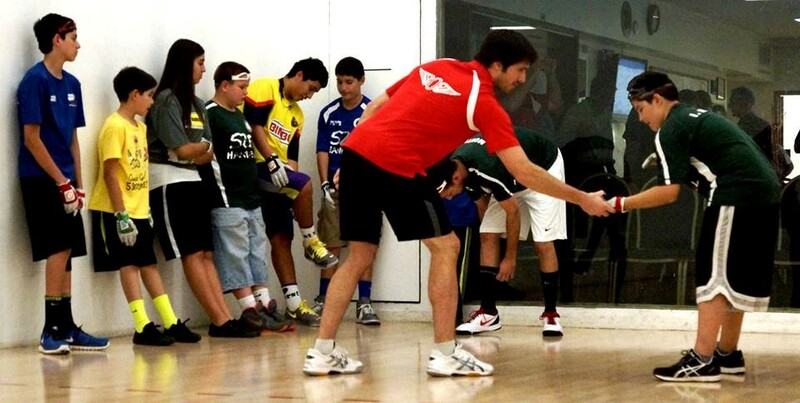 Toronto’s 13-year old prodigy Ivan Burgos was awarded the RFC Sportsmanship Award for his exemplary enthusiasm, effort and sportsmanship throughout the RFC V.
Junior WPH Clinic at the Jake Plummer Bash (October 2014): Junior WPH and Jake Plummer were thrilled to present a sensational junior handball clinic at the Plummer Helluva Family Bash 6. 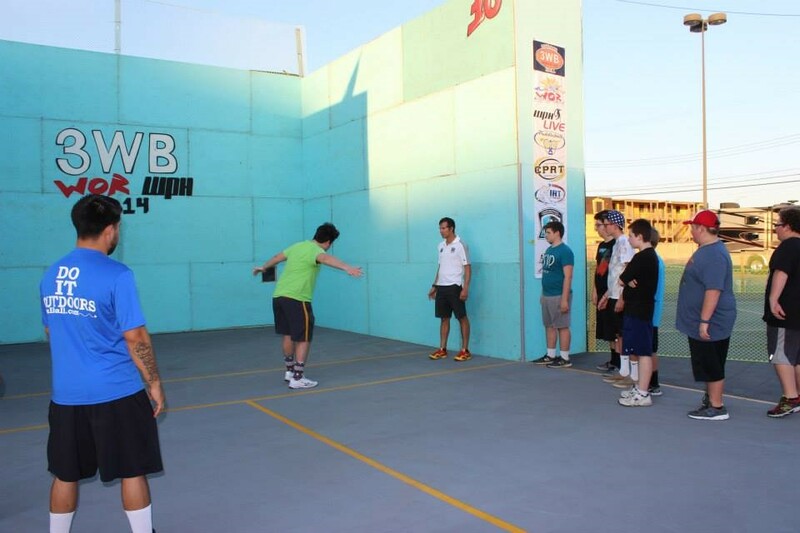 #3 ranked WPH pro Naty Alvarado Jr. joined NFL legend and Plummer Bash host Jake Plummer in introducing the game to several enthusiastic youngsters in a spectacular junior handball clinic. Junior WPH Tucson Race 4 Eight Clinic and Skills Shootout (November 2014): The Race 4 Eight returned to the home of the World Players of Handball in Tucson, AZ for the Junior WPH Benefit Race 4 Eight IV Stop #2 and featured a junior clinic and junior skills competition for all of the junior players entered and in attendance at event. Juniors were provided with tips to improve their skills and competed for prizes in various skills competition, including lowest shot, hit the target, and fastest shot. WPH University of West Florida Argonauts Classic and Collegiate Clinic (November 2014): The WPH returned to Pensacola, FL and the home of the University of West Florida handball team to coach junior and collegiate handball clinics for the second consecutive year. 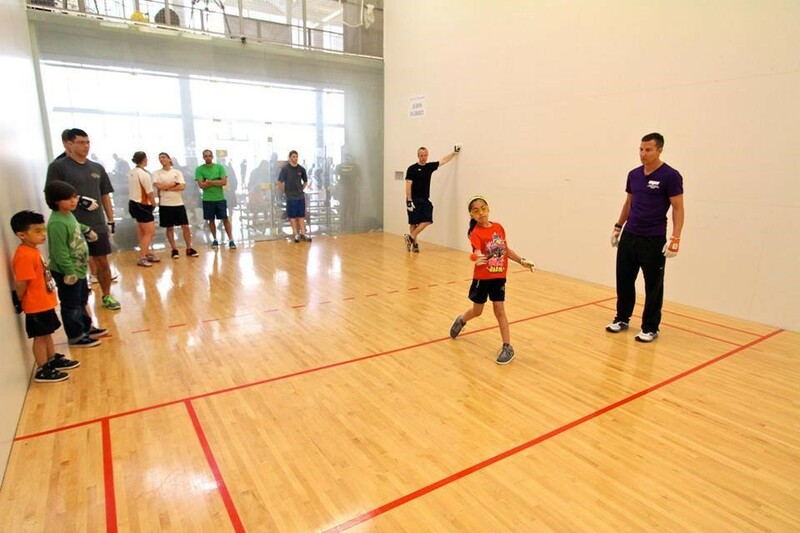 “We loved having the WPH at our inaugural event last year and we were even more excited welcome the WPH back this year,” revealed UWF handball president Michael Morgan. Junior WPH Fun Day in Pinetop, AZ (December 2014): Junior WPH traveled to Pinetop, AZ for an WPH “Fun Day,” treating locals and first-time junior handball players to an exhibition between WPH Race 4 Eight pros David Fink and Sean Lenning, coaching an instructional clinic for first-time junior players, and playing points with new and lifetime handball players. The World Players of Handball is a nonprofit 501c3 institution aiming to incorporate an enduring healthy and active lifestyle in young people in a structured and diverse environment to combat juvenile crime, underage drinking, high school dropout, childhood obesity, childhood sedentary lifestyles, childhood bullying, and childhood neglect by mentoring children through discipline, caring, competition, and emphasizing the importance of education and making the right choices. The Presidential Council on Physical Fitness has consistently recognized handball as being the number one activity for burning calories and building cardiovascular and muscular strength, ahead of jogging, swimming and hundreds of other sports and physical activities. 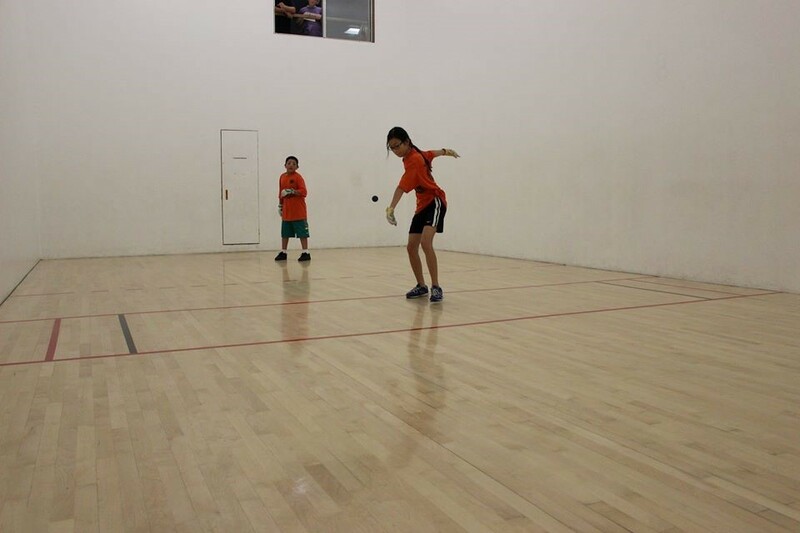 Handball also requires its players to use both sides of their bodies and minds, improving not only their hand eye coordination, but also their analytical and logical thinking. 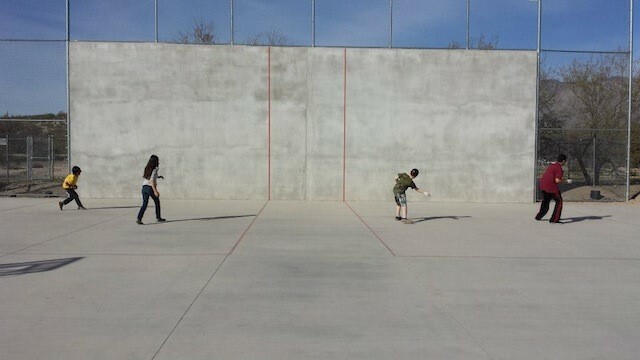 Children playing handball consistently have experienced dramatic improvements in their grades and connection to their communities. Handball provides the ultimate calorie and strength building exercise that, unlike the majority of sports, can be played for a lifetime. 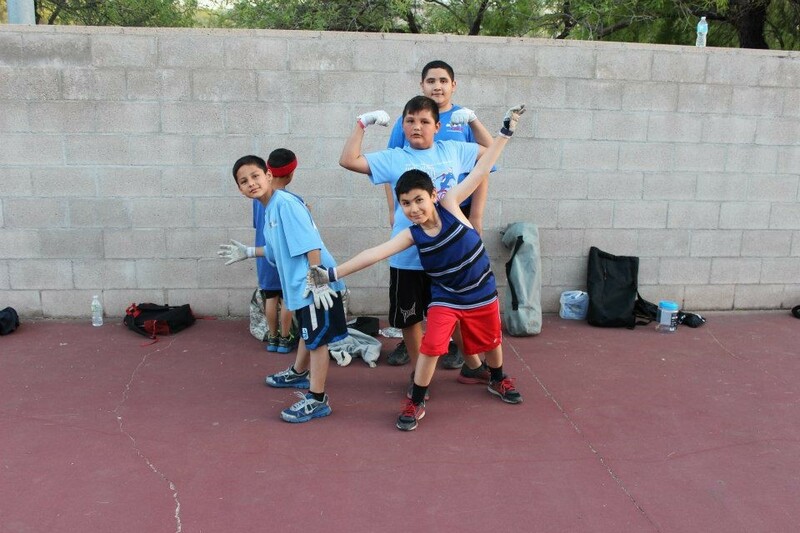 Handball also provides the opportunity for competition, which has been proven to raise self-esteem, build community and school connections, decrease juvenile crime, and increase diversity.